I am trying to run v1.0.0-rc.8_oryOS.10 via docker using my own docker-compose file. I was able to run migrations and start servers (admin & public) successfully. However, when I try to hit any endpoint (GET /clients or GET /version), seems server cannot be reached. Also, I was able to run v1.0.0-rc.6_oryOS.10 using the same config. Thanks in advance! The logs look fine. What URL are you trying to call? Seems like you didn’t enable port forwarding in your docker compose config. Without the docker compose file I can not help you further. I used ADMIN_PORT=4445 and PUBLIC_PORT=4444 stored in an .env file. I have solved the issue by serving hydra on host 0.0.0.0. 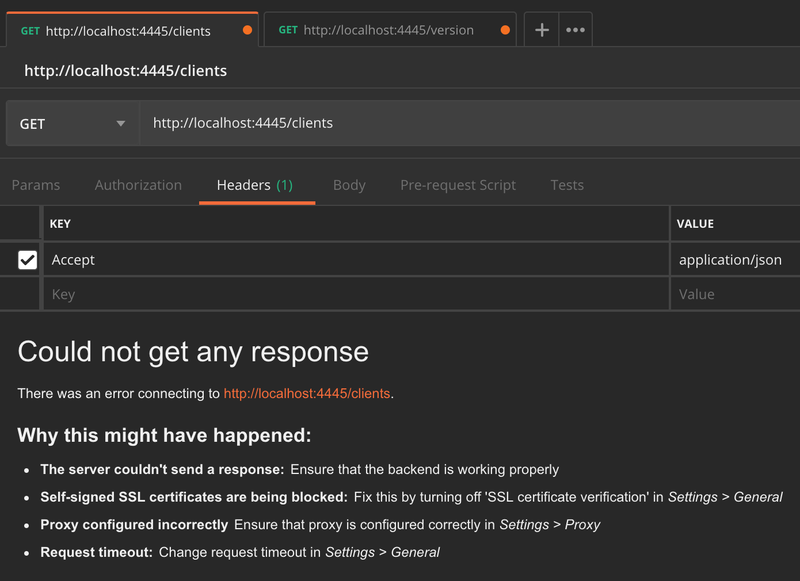 PUBLIC_HOST and ADMIN_HOST was originally set to localhost. Thus, changing it to 0.0.0.0 fixed it.